Born in the rich coal fields of western Virginia, the Chesapeake & Ohio Railroad went on to cross the Blue Ridge and Allegheny Mountains to range over the Ohio Valley and serve 10 states. 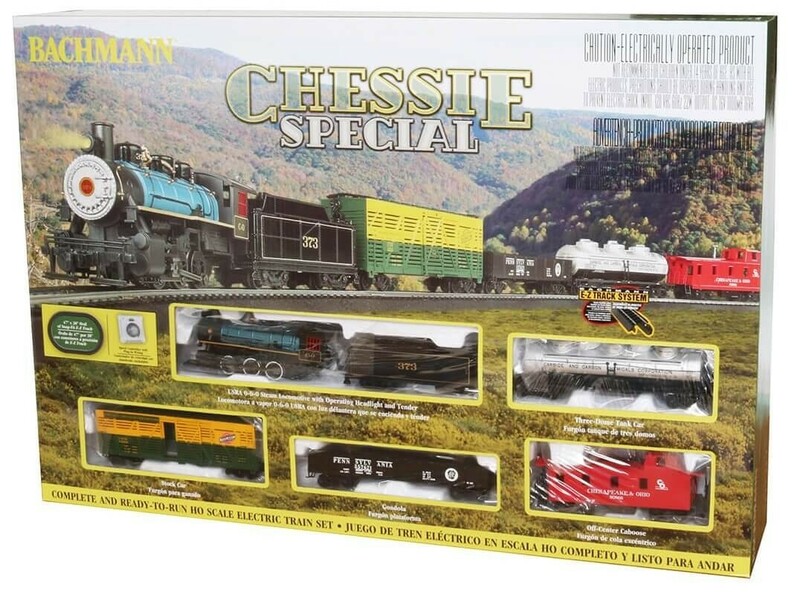 Our Chessie Special ready-to-run train forges ahead with essential freight required to fuel the growth and prosperity of Chicago, Cincinnati, Toledo, and many other Midwestern cities. Recommended for ages 14 years and older.